Wally’s Answer: Blue screen errors like Bad_Exhandle can cause a lot of confusion and worry for most PC users. This error can appear in almost any version of Windows. Isn’t not all that difficult to fix once you know the error message. The Bad_Exhandle or STOP 0x000000A7 blue screen error appears and the computer restarts unexpectedly. The Bad_Exhandle error can be caused by various reasons including corrupt device drivers, damaged files, and even a malware infection. You can’t perform most troubleshooting steps if Windows won’t start at all. At a time like this, you can start the computer in safe mode with minimal drivers and services. Learn how to start the computer in safe mode by clicking here. You can use the system restore feature to take your computer back to the past and undo changes that caused this problem to occur. This will only replace some Windows files and not all your data stored on the hard disk. Click here to learn how to use it. Some blue screen errors can be fixed through a Windows update. 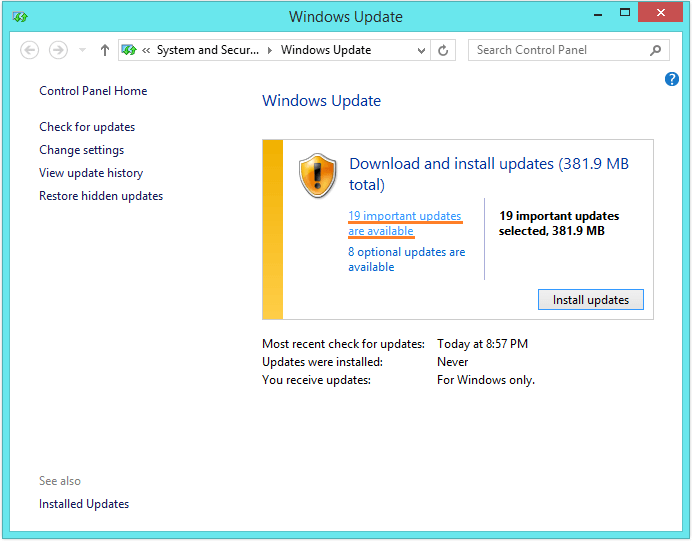 These updates are released by Microsoft to fix various known problems with software and even drivers. This process can take some time depending on the number of updates. An anti-malware or anti-spyware is just like an anti-virus program except it hunts for malware. In the today’s internet, virus infections are really rare. Instead, malware and spyware infections are a lot more common. I recommend using Malwarebytes to remove malware infection, but you can use any program you want. Drivers can be updated in two ways. You can either do it the old way or use a driver utility. The old manual way involves going to your computer manufacturer’s website and downloading the drivers from there;. Make sure to download drivers that will actually work with your version of Windows. Also, make sure to install them one-by-one and restart when prompted. You can also use a driver utility like DriverDoc to do most of this for you. The only difference between using the old method and using the driver utility is that DriverDoc will save you time in looking for the correct drivers. It will also help download and install them on the computer.